I love to get e-mails from my readers, even if I’m not the fastest person in replying it’s just great to see someone asking me for advice or simply saying that they enjoy reading my blog. I also get in touch with Polish girls dating Asian guys and that makes me so excited! I sometimes feel I’m more excited with their relationship than themselves. From time to time I get asked is it hard to get married in Hong Kong or Poland so I decided to make a short guide how on this topic and how to register your international marriage at your local civil register. 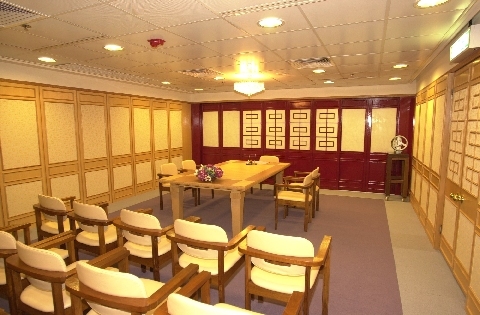 Getting married in Hong Kong cannot be easier. I have a feeling that as long as you pay, they don’t care. I asked my husband 58739734921 times ‘Should I have my birth certificate translated? Or a paper proving I’m not already married?‘ and my husband just told me ‘No and no. Just bring your passport’. Passport is a prove that you were born and if you’re already married you bring troubles to yourself, it’s non of their business. What if someone stole my passport? That is a question no one ever answered me. I really got scared because even Polish government sites say I need those documents, argh! But not there, going to a marriage register in Hong Kong you only need his Hong Kong ID (or other document he can use as his ID), your passport (or any other document that you can use as ID in Hong Kong) and a receipt that you paid for a ceremony. It lasts around 15-20 minutes, has the worst ever vows written in old English and bam, you’re married. 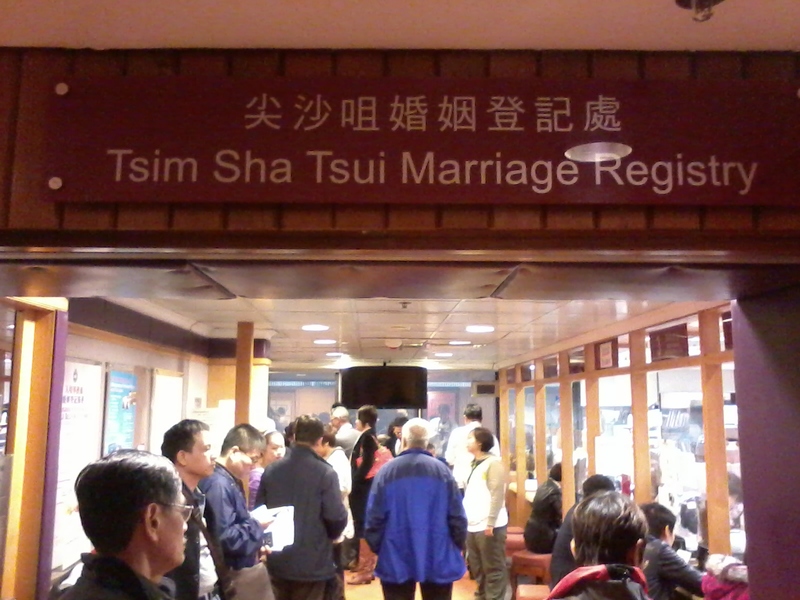 Just to be clear – anyone can get married in Hong Kong – you don’t need to marry a Hong Kong citizen. But if the two of you are living outside Hong Kong and still are willing to get married there go to the official site ( click click ) because that is more complicated and I’m writing only about Hong Kong citizens marrying foreigners. Before you get married you need to give a 15 days notice and in that time if there’s mean future mother in law or anyone that knows the reason why you two cannot get married. Legal age to get married in Hong Kong is 21 but if you have special papers that allow you to marry your partner it is also possible. Fee to get married is 305HKD but then there’s additional 715HKD. That includes price of the ceremony and one Certificate of marriage. Other copy is paid extra, 280 HKD per copy . We had to get our duplicate thanks to the typhoon. Yay. Check your documents carefully, especially Polish girls with their family names ending with ‘-ska’. Male form is ‘-ski’ but since the ladies in the register see ‘-ska’ at your and your mother’s surname they assume your father has it also and that’s how my dad almost change his gender, at least on the paper. You will have another chance to check the on the day of the wedding, before the ceremony they will ask you to come with your documents and the receipt, signs papers once again but it will save you a lot of trouble! I told you it cannot be more simple for AMWF couples marrying a Hongkonger. The only one more advice I can give you is read your marriage oaths – you have to read it the day you go to give a notice and later during the wedding ceremony and since it’s such a stressful day it can be quite complicated, especially for a non native English speaker! “I call upon all persons here present to witness that I, Paulina, do take thee, Sing, to be my lawful wedded husband.”. 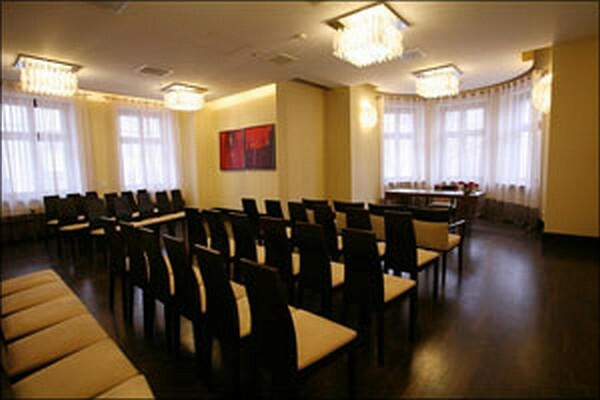 How to register your Hong Kong marriage in Poland? You can either do it through Polish embassy (183 Queen’s Road East, Wanchai, Hong Kong) but it will cost you a lot of money and you need to ask them for it (they don’t do it for you just because you got married) or you can do it yourself back in Poland at your hometown civil register. Remember to translate all the documents you have, including your husband’s birth certificate and his parents. We haven’t done that, we only translated my marriage certificate and because of that instead of full date of birth my husband has only how old he was when he got married to me and his mother has no surname. Since Chinese women don’t change their surname after marriage they claimed they couldn’t confirm her surname. Hello, it was on Hong Kong marriage certificate that you just took from me. With all the documents translated you should file a special form you will get at the civil register, pay 50PLN for a registration of foreign marriage and wait around a week to get 3 copies of your Polish marriage certificate. For any extra page you need to pay 22 PLN. I’ll write only about civil registry marriage since I don’t know any interracial couple where one of them (or both) insisted to get married in Christian way.hen Hongkongers don’t care about your papers, we Polish people looooooove to have everything on paper. Or at least any government institution loves it. We’re not environmental friendly. Now go back again to receipt and two IDs. Now when you have all the documents needed and filed at your local civil register you need to wait at least 30 days until you can get married – twice as long as in Hong Kong. You also need to tell if your partner is not fluent in Polish language and ask for their list of translators to pick one for your wedding day. On the day of the wedding your vows will be first said in this order: register -> translator -> partner, register -> you -> translator. After that it should look pretty much the same – signing papers, claps and kisses. You can enjoy your life with your now husband! But how to register your Polish marriage in Hong Kong? Go to a consulate in Warsaw or Krakow with your marriage license translated into English. That’s why I love it – no problems. But prepare your husband to see ‘Hong Kong, China’ at the documents. 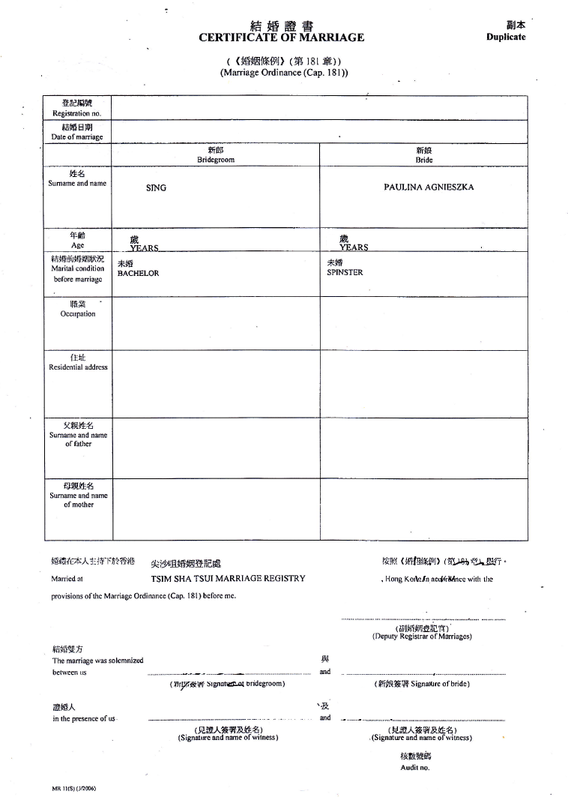 I applied writing just Hong Kong but picked up a document with Hong Kong, China. Is it hard to marry a foreigner in your country? Or maybe you had two weddings, one in your country and the other one abroad? Any advice would give to AMXF couples that plan to get married? Share your experience and stories! Sounds like a really smooth process. For us, getting married in Austria did involve a lot of paperwork, high fees (and confusion). It would have been the same process though if we had been getting married in mainland China (we needed to get many translations, notarizations at many different places and similar stuff). I remember there was a time where we considered getting married in HK, but in the end we decided for Austria. Registering our child in my home town will be much easier now, because they already have all of the translated and notarized documents from the wedding and won’t need any new documents from my husband. For us, it was really easy to get married in Australia – just exactly the same procedure as in HK. Even vows are the same. But it last only like not even 10 mins whole ceremony, I was shocked it happened so quickly. I’m going to register our marriage in Poland soon and I’m glad to hear that you waited only for one week to have done this. Right now we are preparing for Christian marriage in church, or rather it calls “mixed” marriage, as only I am Catholic. I just started my pre-marital course yesterday. Later on couple meet with priest who will make kind of protocole/interview (?) with us, but we are still before it, so I dunno how it looks like exactly. Then finger crossed and waiting for agreement for marriage from bishop. But even more stressful is wedding in China! I just have no idea what to expect and I would be so thankful if someone could tell me how such wedding in China looks like, step by step. I read often that getting married in HK is recommended or in Danmark due to the ease of the process! Though I must say we also had it easy when we got marred in Finland, as the hardest process is usually to get all the documents from China (due to some red pockets here and there for the hard working office employee otherwise they tell you its impossible or it takes few months…). Hong Kong sounds like another Reno or Las Vegas!… great post. What a helpful guide! And how easy it is to get married in HK! Thanks for this. Now I know what my fiance meant when he said it’s really easy to get married in HK (marrying him next year in HK). Some Shenzhen friends told me HK is the best place to get married, they ask no questions. I’ll take note of that one day. Congrats! Very helpful! Thanks! I’m preparing (well, now only researching) for a civil ceremony in Poland. I have one question: do you happen to know if the translator necessary needs to be a translator of Chinese or English is enough since my Fiance speaks English fluently? I’m just afraid if its necessary it’s a Chinese interpreter it might not be so easy to find one available for scheduled date and the wedding date could be postponed due to this.